Britt Reid (Seth Rogen) is a slacker by day, party animal by night... until he finds a serious career that’s seriously cool: crime-fighting action hero. 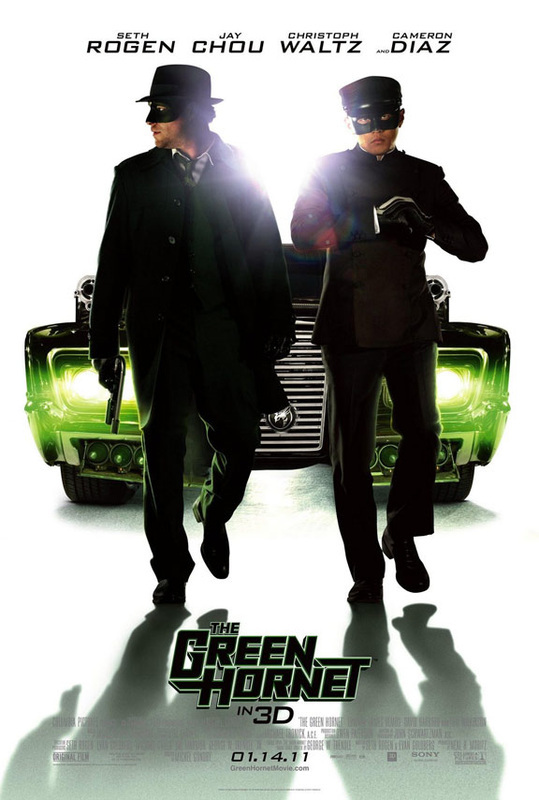 As the Green Hornet, he teams up with gadget wiz and martial arts master Kato (Jay Chou) to take down LA's underworld. Even Britt’s assistant Lenore (Cameron Diaz) doesn't suspect this mismatched pair is the masked duo busting the city's toughest thugs led by Chudnofsky (Christoph Waltz). With style, swagger and an arsenal of awesome gear, the Green Hornet and Kato are doing justice their way, making every mission a mix of over-the-top action and outrageous comedy. The Green Hornet Movie Prop Peplicas, Figures, Toys and Collectibles! 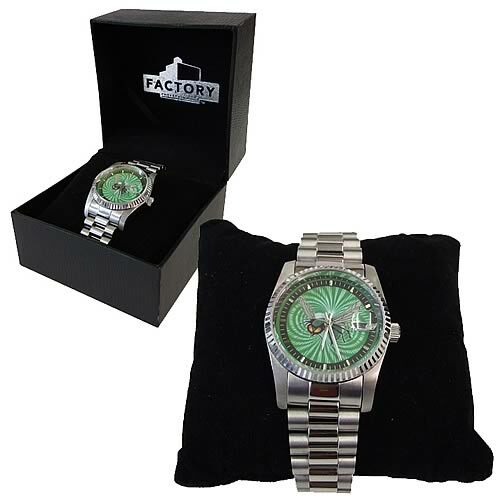 From the Manufacturer: The Green Hornet -Collectors Watch ‘Let’s Roll Kato.’ Factory Entertainment is proud to present a gentleman’s watch fit for Britt Reid himself. With heavyweight all-stainless-steel construction, the Green Hornet watch features the classic Moiré pattern and hornet emblem on the dial. Each watch is individually numbered and engraved on the case back with its edition number; the total edition size is just 300 pieces. Individually presented in a velvet lined collector box, additional features include: water resistant to 5atm, date window, quality quartz movement, and 1 year warranty. 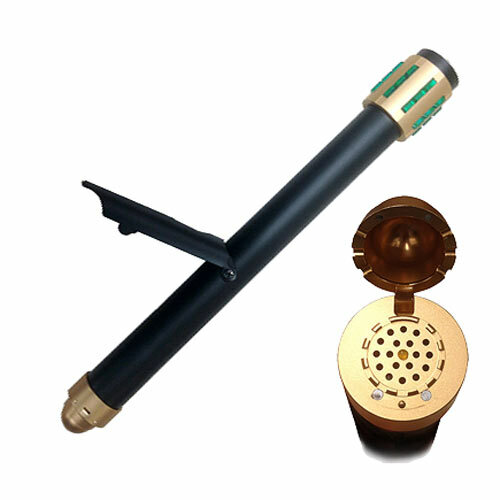 The Green Hornet Sting Signature Edition Prop Replica is an authentic and highly detailed 1:1 scale museum quality replica of the Sting weapon from The Green Hornet TV series. With a telescoping, flick-out function with magnetic lock and a working check light, this amazing recreation of the Sting has been hand signed by the Green Hornet himself - Van Williams! 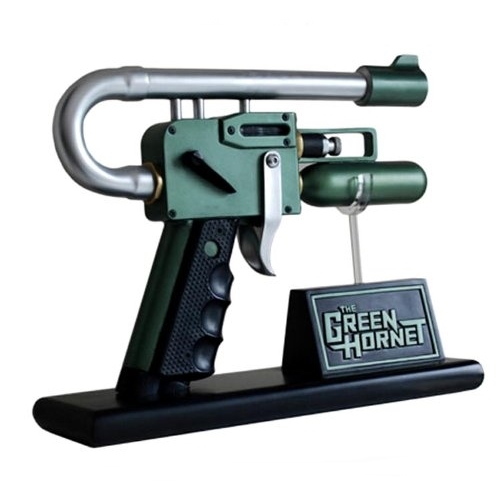 The Green Hornet Sting Signature Edition Prop Replica includes a display stand, base, acrylic cover, certificate of authenticity, and prop story booklet. In the new Green Hornet film starring Seth Rogen, the Green Hornet's principal weapon is his Gas Gun. To recreate this prop exactly, Hollywood Collectibles molded the original hero prop used in the movie! Measuring approximately 10" long, this fantastic looking prop comes complete with a Green Hornet-themed display stand. This incredible piece is constructed from solid heavyweight polystone and then hand painted to the finest detail. ​The single-season series premiered September 9, 1966, and ran through March 17, 1967, lasting 26 episodes; ABC repeated the series after its cancellation by the network, until July 14, 1967, when The Green Hornet had its last broadcast on network television.